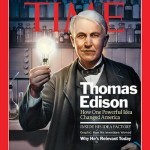 The boy’s name was Thomas Edison and by that time he had already become one of the greatest inventors of the century. 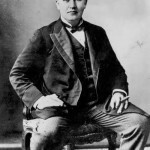 Thomas Alva Edison was an American inventor and entrepreneur. 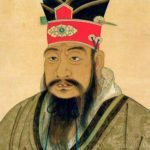 He got 1093 patents in the USA and about three thousand patents in other countries. 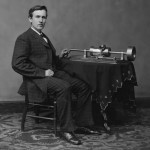 He improved the telegraph, telephone, invented the phonograph, lightbulb, and motion-picture equipment. It was he who suggested using of the word “hello” in the beginning of the telephone call. In 1928 he was awarded the highest award of the United States – the Congressional Gold Medal. 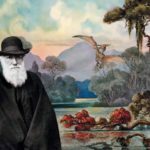 In 1930 he became a foreign honorary member of the USSR Academy of Sciences. 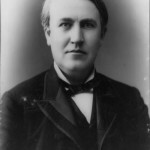 Thomas Edison was born on February 11, 1847 in Milan, Ohio. 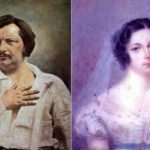 His father was a jack-of-all-trades, his mother a former teacher. 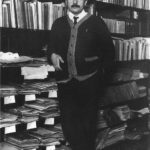 He first went to school at the age of eight and a half. 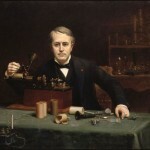 Edison made his own chemistry laboratory when he was 10 years old. 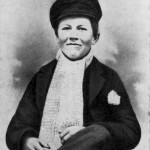 12-year-old Edison sold newspapers on the local trains. 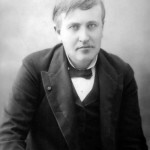 Later Edison became a professional telegraph operator and left home. Thomas was good at sending and taking messages in Morse code. 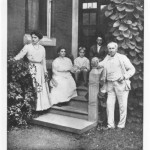 In 1869, he came to New York and got a job in a small company that later became part of the Western Union Company. 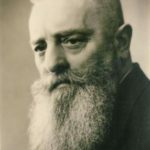 He made a special telegraphic machine when he was twenty-three years old. Edison sold it for a lot of money. The money helped him to set up his own company. 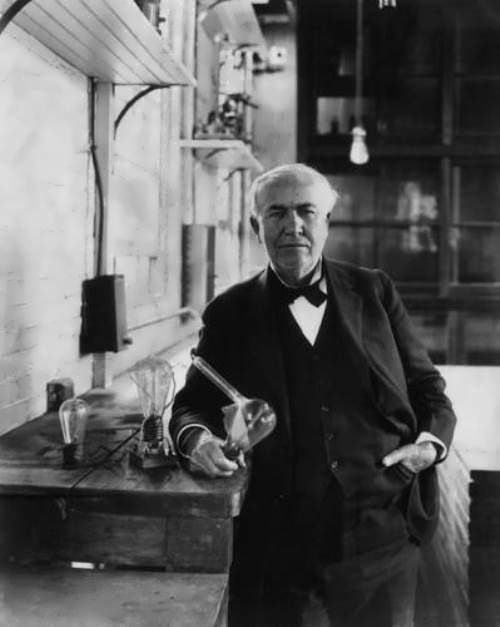 In 1878 Edison produced a light bulb that could burn for 40 hours! 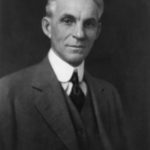 In the same year he organized the Edison Electric Light Company. 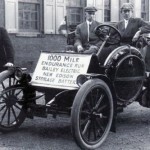 Later it became the General Electric Company. In 1882 he put electric lights in one square kilometer of New York. 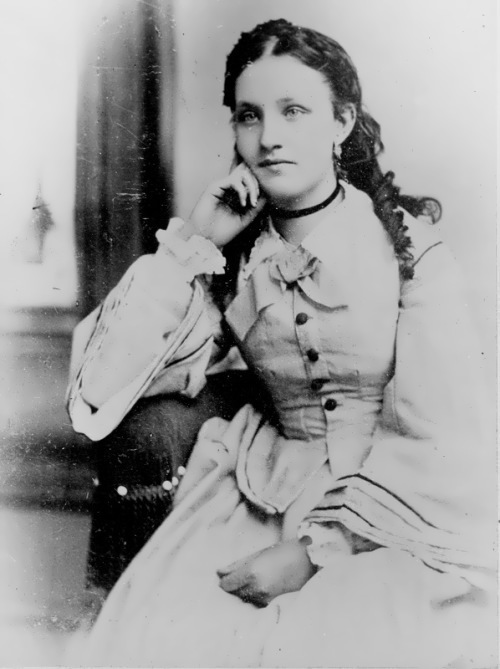 In 1889 he made a ‘kinetoscope’ – a moving picture machine. In 1903 he made The Great Train Robbery, at that time the world’s longest film. 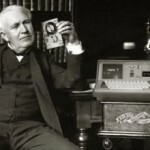 The Edison Company produced over 1,700 movies. 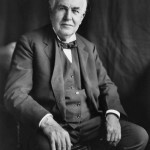 During World War I Edison headed the U.S. Navy Consulting Board and contributed 45 inventions. After the war he established the Naval Research Laboratory, the only American institution for organized weapons research until World War II. 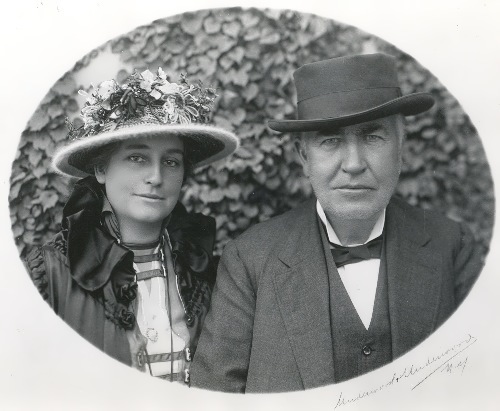 Edison married twice and had six children. 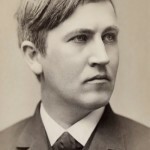 Edison died on October 18, 1931 in West Orange, New Jersey. The lights all over America were switched off in his honor.